Appearing on the first page of a search engine results query is the digital equivalent of setting up shop in Times Square. It’s prime real estate that can significantly improve your website’s visibility and thus clicks to your site. More clicks contributes to more leads, and more leads mean more qualified business. Thus, it’s no surprise that many companies resort to Pay-Per-Click (PPC) advertising, specifically Google Adwords. This allows marketers to bid on certain keywords in order for the clickable ads to appear instantly at the top of Google’s search results. Another method is the use of organic SEO, which, while not instantaneous, has many long term benefits over paid searches. In this post, we will discuss the advantages of using organic SEO in comparison to PPC advertising to rank higher on Google, use your budget more effectively, and generate more qualified leads. PPC advertising platforms allow a businesses ad(s) to show up on the front page of a search query when certain criteria, i.e. keywords, are met. Search engines such as Google then charge for specific actions taken on the ad. In the case of Google Adwords, that action is when a search user “clicks” on the ad that direct users to your site. That means that businesses must pay a fee for every click on an ad that links to their website. This is how search engines and social media platforms alike make money from their search. 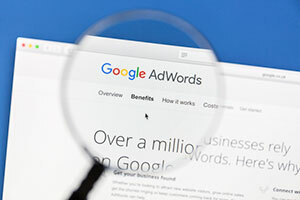 Since everyone is willing to pay a little more than their competitor to make their ad visible, almost all PPC platforms use a bidding system to determine the cost of ads, relative to the demand of the keywords used to generate the ad. The more the potential clicks, the higher the price, so as the demand grows for specific keywords, the more it will cost for each click. Advertisers then choose a “bid”—the amount that they’re willing to pay for a single action (like a click)—which will factor into how many placements and where on the page their ad campaigns get. Depending on the competitiveness of the keyphrase, you could pay anywhere from a few cents to a few figures for a simple click back to your site. And because you have to continue to pay to keep your ad active, you’ll have to continue to pay at the current rate to keep those conversions flowing. Organic SEO, in contrast, can be defined as a set of methods intended to yield a high ranking on a search engine’s results without spending on advertising. Through proper organic SEO tactics, search engines will begin to recognize the value of your website based on the relevancy, accessibility, and quality of your content and webpages overall. A proper organic SEO campaign will include a variety of tactics and strategies customized for your industry, which when implemented properly, can dramatically increase your website’s visibility naturally. 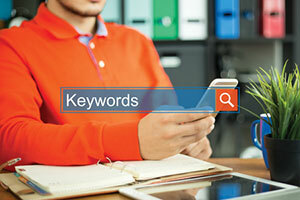 The foundation of any organic SEO campaign is extensive keyword research. Proper keyword research will tell you what search terms (keywords) people are using to search for content related to your business in the search engines. Knowing what’s being searched already, you can then tailor your content to incorporate these target keywords and phrases. This will encourage search engines to gradually improve your rank with regard to organic searches of those target keywords. If your website consistently produces quality content that is relevant, easily shareable, and informative, search engines will soon begin recognizing that you are distributing quality content to readers, and will reward you with higher rankings in the search engine results pages (SERPs). After a strategic content generation strategy has been created, and quality content is being consistently produced, you can then begin the important process of link building. Link building is exactly what it sounds like; by encouraging other quality sites related to your content niche to link back your content, your website gains credibility as a trusted source of both relevant and quality pages. This then increases your domain authority, which in turn improves your rankings in the SERPs. For these reasons, building links to your website is the single strongest indicator to search engines like Google that your on-page content is both relevant and high in quality. A well-thought and structured organic SEO campaign will encompass all of these tactics and elevate your website to higher rankings on SERPs. While both organic SEO and PPC advertising can draw in potential leads, there are several key differences that separate the two of them. As mentioned earlier, advertisements must be continuously paid for in order for the pages to remain at the top of the SERPs. This makes this method of ranking only sustainable for large corporations that have a greater budget to funnel via ads. 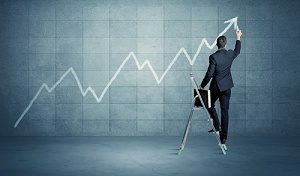 Small businesses almost invariably struggle to compete with larger organizations when they become unable to outbid their competition. Organic SEO takes time and patience, but will yield the same results without depleting your business’ bank account. Unlike PPC advertising, organic SEO also compounds over time. As your organic SEO campaign matures, you will begin to find that your website will begin ranking for multiple keywords that are relevant to your industry or targeted keywords. For example, if you are in the insurance industry and target keywords such as “insurance broker,” you will begin to rank for those keywords as well as other variations of those keywords. You might soon learn that you are ranking for keywords such as “insurance broker,” “insurance brokers,” “what is an insurance broker,” and “best insurance broker in Northern Virginia,” etc. This is because as your website increases in visibility with regard to quality content and credible backlinks, search engines will rank you for additional keywords and keyphrases that are also relevant to your content. As long as you’re consistently producing quality content based on relevant keyword research, search engines will continue to rank you favorably for targeted and related keywords alike. Paid ads, in contrast, disappear as soon as the funding runs out; therefore, organic SEO is the viable option for businesses that are seeking steady, long-term results. Anyone can perform organic SEO on their website; however, the same could be said about repairing their cars. Certainly, anyone can learn how to change a tire or their oil, but as a novice you probably would not want to attempt to replace your chassis. The same can be said for professional SEO services. Reputable digital marketing firms have years of experience and know how to produce effective and profitable results in far less time than beginners. 321 Web Marketing can provide you and your business with a free SEO consultation, including initial keyword research, competitor analysis, and a forecast and timeline for your custom organic SEO campaign.